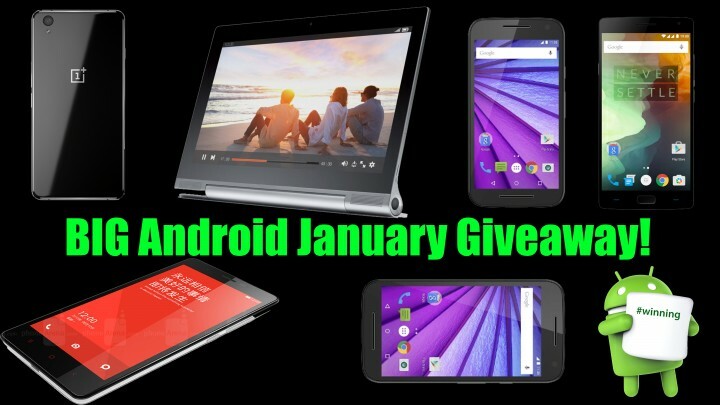 BIG Android January Giveaway is here! We will be giving away a total of 6 prizes including a OnePlus Two, OnePlus X, Lenovo Yoga Tablet 2 Pro w/ built-in projector, 2 3rd-gen Moto G, and Redmi Note 3. To enter, simply subscribe to all the YouTubers involved using the follwing link – Click Here to Enter Contest Winner will be announced 2 weeks from now on January 29th 10AM PST on my YouTube channel LIVE. We are also having another contest at the same time, you can check out C4ETech’s contest here to have more chances to win! Next story Shure KSE1500 Unboxing – $3000 Earphones! Previous story Huawei Mate 8 Review!